Virgin snake gives birth to 22 babies. A female boa constrictor snake has twice given birth to offspring without mating, producing 22 babies that have no father. 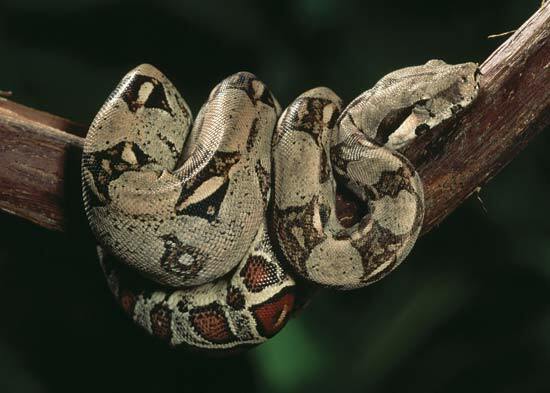 The captive-born female snake gave birth at the same time as being housed with four male snakes but DNA tests showed none was the daddy, confirming the first instance of a known virgin birth among boa snakes. Even more unusual is that the genetic make-up of the babies is unlike any previously recorded among vertebrates, the group which includes almost all animals with a backbone. All female, the little ones were also all born with a distinctive rare caramel colouration – a rare recessive genetic trait carried by the mother but not by any of the potential fathers. ‘The results may require scientists to take another look at reptile production,’ said Warren Booth, a geneticist at North State University. Asexual reproduction in snakes could be more common than thought, he added. Details are published in the Royal Society journal Biology Letters. Virgin births do occur among animals. Many invertebrates, such as insects, can produce offspring asexually, without ever having mated. They usually do this by cloning themselves, producing genetically identical offspring. But among vertebrate animals, it remains a novelty, having been documented among less than 0.1% of vertebrate species.